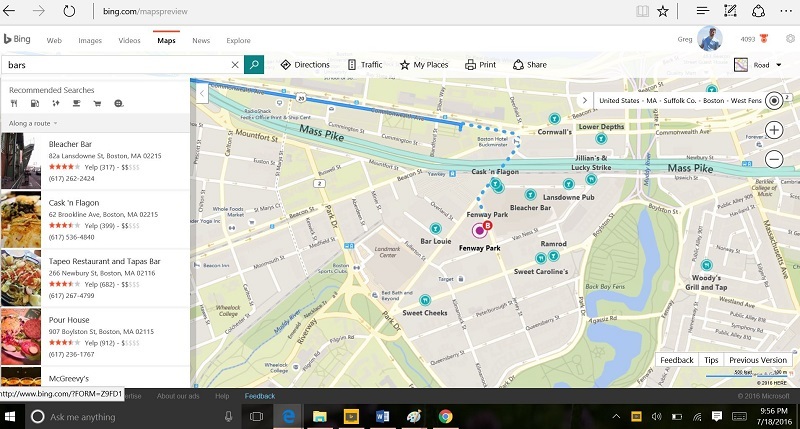 Bing Maps offers more than just a map of your place. 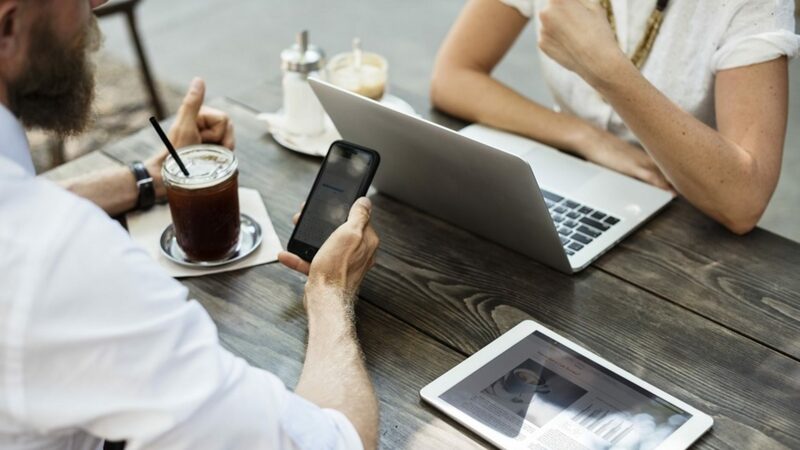 Learn how to find nearby restaurants, read reviews, view street views, find out how to get to your search destination, view traffic camera views, and more! To get started, go to Bing and look for maps at the top of the page. 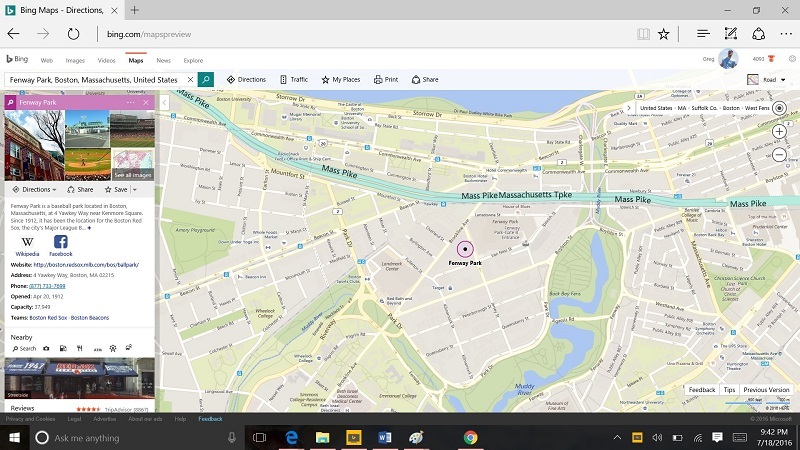 Learn how to use Bing Maps like a Boss right now! Let’s say I am on vacation in Boston and I want to plan a trip to Fenway Park. Now, I can head over to Bing Maps and search for Fenway Park to get an idea where it is which is fine, but we can do so much more than that. Here are some things to take notice of this search. First, I am presented a knowledge graph for my search. This knowledge graph is very similar to a traditional web search I could do. I have a few pictures of Fenway Park to show me what it looks like, I have a directions tab, a brief history section from Wikipedia, Fenway Park’s Facebook page, hours of operation, and reviews from TripAdivsor. You can scroll up and down in this knowledge graph to learn more about the place you searched for. As a note, I zoomed out to show all of this, but you can absolutely zoom in with the maps. Let’s say I read the reviews and I want to go to Fenway Park now. Bing offers three modes of directions. Driving, Transit, and Walking. At this time, there is no way to do this search with a bike. As you can see here, I can take the local bus to get to Fenway Park from a generic place that I typed in. Let’s say I want to go to Fenway Park after reading the TripAdvisor reviews and I know I can get there with the bus. However, I want to make a night of it after the game. I want to know what bars are around that place. To do this, you can click on Fenway Park on the left side in purple, or simply retype Fenway Park in at the top of the search box. From there, you can scroll down until you see these icons at the bottom. You can even search for something like bars, or you can click on the icons to bring this up. From here, I typed in bars to see what is around. The moment I do this search, I am presented these extra listings around Fenway Park. You can see below that all the bars around Fenway Park are in a green dot. You can actually click on each of these green dots to open up the knowledge graph for each listing. Let’s say I really want to check out the Pour House. I like the reviews, I like the hours that it is open, it’s cheap, and it is close enough to Fenway Park. You can right-click on this listing and click on view street side. From there, you can click on that and you are presented a preview street view of the place. If you want a bigger view, you can click right on the view to view a full view of the place. As you can see with the right-click, you can click on directions, nearby hot spots, save it as a favorite, and much more. 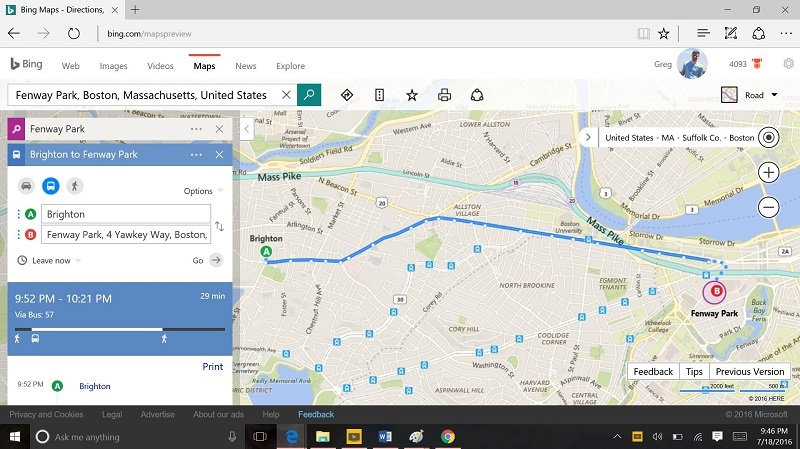 Another unique feature in Bing Maps is the ability to view the traffic flow on the maps. At the top where the search box is, you can click on the traffic icon to see how the roads are with cars. A real unique feature to Bing Maps that is not found on Google Maps is that you can view traffic cameras from here to get a view of the traffic in real-time. This is a great way to see how bad the traffic really is before you take that route to the game, or the bar. Bing Maps experience is very similar to the experience you will find with iOS with Apple. Bing presents the information to you based on very simple actions like looking for nearby bars next to your original search. There are even more awesome things you can do with this tool. Feel free to click on tips at the bottom of the maps tool to learn about more things you can do!